When will I get my order? : Your boxes takes 1 week for production. Then refer to this map (Click here for map) to calculate the additional shipping time. Your items ship from FL. 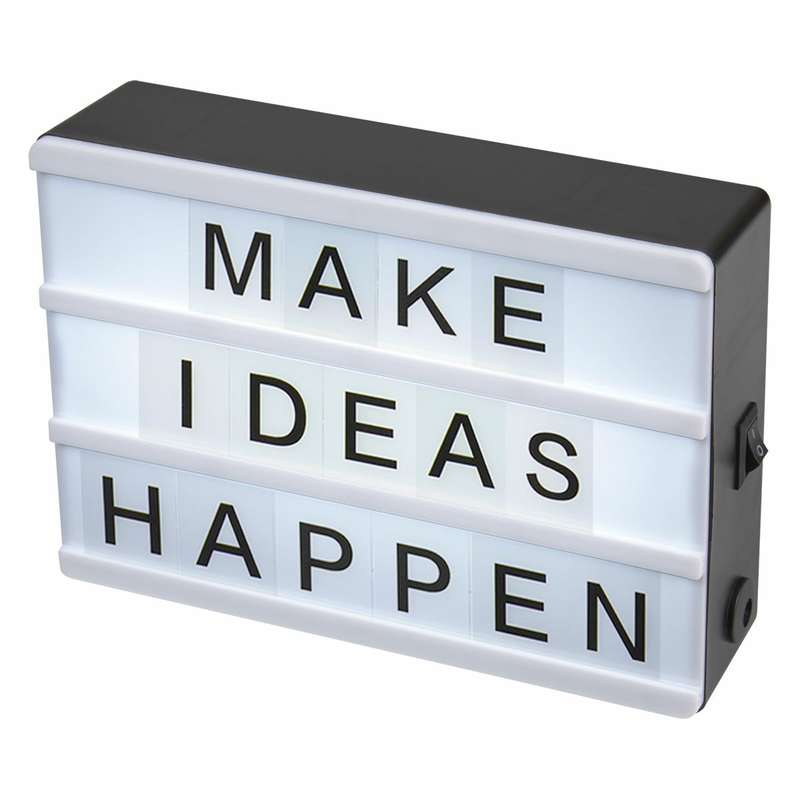 These cinema light boxes will be the hit of your party. 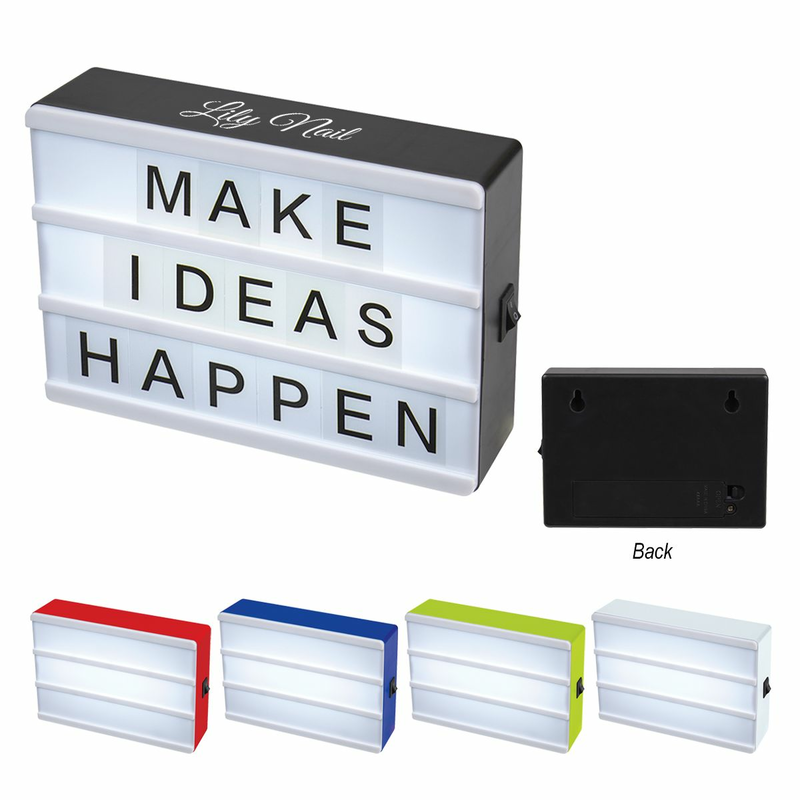 With 82 letters and symbols you can create multiple messages to be up in lights! Each measures 4 1/8" H x 6" W X 1 1/2" D with your choice of black, white, red, lime, green and blue borders. The power source is 4 AAA batteries which are included. The light box can be mounted and has an on/off switch on the side.